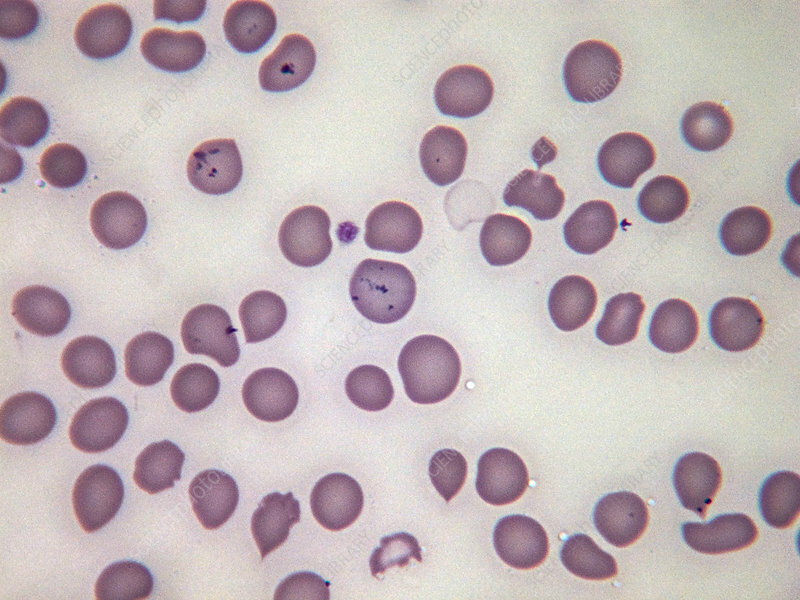 Basophilic stippling in an erythrocyte. Note that there are numerous small inclusion bodies in several cells. Light micrograph, Wright-Giemsa stain. Magnification: 100x.